Research has shown that stereotype threat negatively impacts: women’s math performance3 (compared to men’s), White men’s math performance4 (compared to Asian men), men’s social sensitivity5 and spatial abilities6 (compared to women’s), White athletic performance7 (compared to Black), and Black students’ verbal problem-solving abilities1 (compared to White students’). STEM fields should consider ways to create identity safe environments to help people overcome stereotype threat. 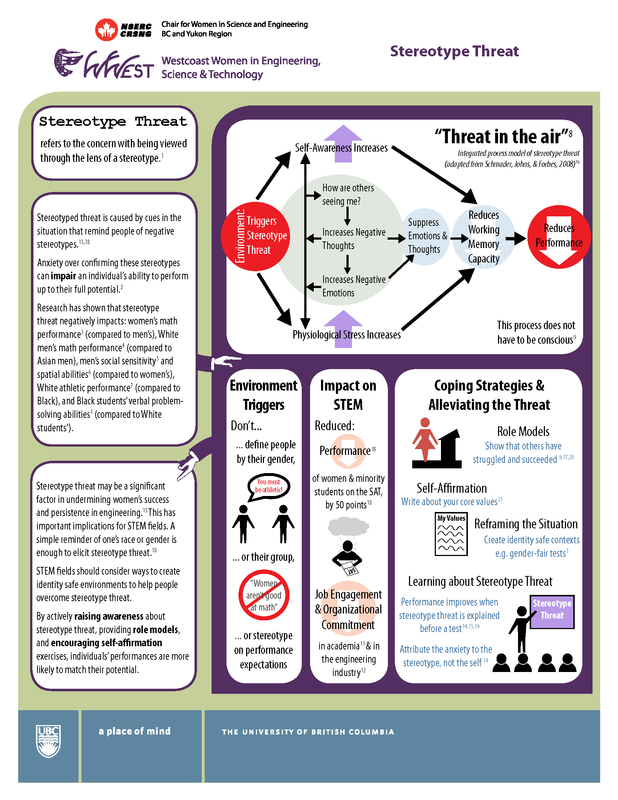 By actively raising awareness about stereotype threat, providing role models, and encouraging self-affirmation exercises, individuals’ performances are more likely to match their potential.